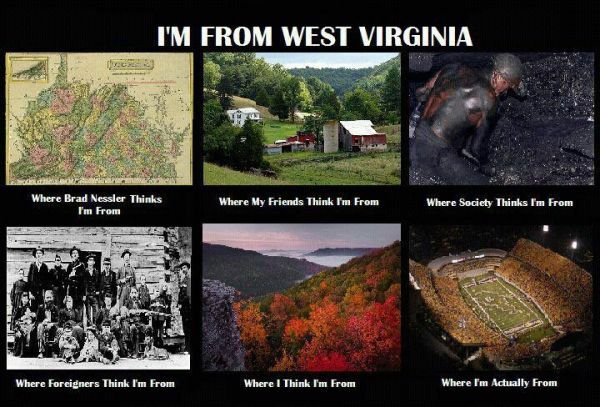 A common story told about West Virginia is the folktale about how it got the nickname 'West, By God, Virginia'. According to the legend, a West Virginia native who was being inducted into the US Army during the First World War (some versions make it as early as the Spanish-American War), was repeatedly asked by his induction officer, 'What part of Virginia?' And the soldier, finally getting fed up with the confusion, said 'Not Virginia! West Virginia! West, by God, Virginia!'. This story, whether true or not, has entered American folklore.